Well here we are at the end of August. School is back in session and the school buses are traveling the roads carrying are most precious cargo. Our children have had a great summer and now more than ever we need to be careful on the highways and abide by the laws where school buses are concerned. Be patient and let the drivers get our children to and from school without incident. With that being said, summer is almost over and we should take advantage of every warm day we have left this year. Spend some time with your family or maybe you just want to get out by yourself this weekend and have some fun. Here are just some of the events in our area this weekend. Have A Great One From All Of Us At Exit Realty!!! Early Scots and Scot-Irish settlers were strong contributors to American Culture, and nowhere had their influence been more strongly felt than in the Appalachians. If you are of Scottish descent, or merely love the sound of bagpipes, come enjoy a “taste of Scotland” through fascinating history and stories, lively music and dance, and of course, savory food. Cashiers Valley Arts and Crafts Show on August 31 and September 1, 2013. For more information please go to http://www.cashiersrotary.org. Local musicians gather and delight the audience with a wie variety of acoustic music. Join us for an evening of music, food & fun. If you play an instrument, bring it along! Food is free; donations accepted. The Shops at Sautee Village will stay open until 9PM. All proceeds go to the Charles Smithgall Humane Society. If you like Rockin’ Country, then your gonna love this band!! With Tyler Mathis singing lead vocals, Alex Hall on lead guitar, Michael Dixon on drums, Zac Callahan on rhythm guitar/back-up vocals, and David Hasty on bass/back-up vocals. These are the warriors that discovered Plowboys. Taking country music to the next level, and riding the rock line as close as possible. The Plowboys use their stage energy to interact with the crowd and often leave the stage while still playing their instruments. The Plowboys perform cover songs from Luke Bryan to Jason Aldean, from Lynyrd Skynyrd to The Black Crowes. The Plowboys love what they do and look forward to playing for you! See demonstrations of a centuries-old craft. Meet potters and hear their stories. Enjoy local music and food. Mountain arts & crafts, music, living history activities, demonstrations on quilting, spinning, basket making, chair canning, farm animals, gold panning and activities for children. Fireworks are promoted by the Blairsville-Union County Chamber of Commerce and sponsored by Woodmen of the World. in celebration of Labor Day. Date/Time Information Fireworks display at dark or approximately 9:30pm. Have You been Looking For A Real Log Cabin In The Mountains? How About One That Is Located On The River? Well Look No Further. We have Just Listed This Mountain Log Home With 1,995+/- Square Feet At An Unbelieveable Price Of $159,000. The Main Floor Has Two Bedrooms With Two Full Bathrooms, Large Family Room With Masonry Fireplace, Large Family Gathering Kitchen With Connecting Dining Room. All Wood Flooring and Included In This Price Is All The Appliances And Furnishings. Also Has A Full Basement. Imagine Relaxing On The Fully Screened Porch Watching The River Flow By. Homes Like This, At This Price, Don’t Come Around Often. Schedule A Viewing With Kathy Vetten At Exit Realty Mountain View Properties And You Will See Why This Home Is Such A Great Deal. Its just one of the many homes Kathy has listed. We have many Homes available to choose from and its the right time to invest in Real Estate. Whether it be a Home located on that perfect acerage or Land you are looking for to build your custom dream home on, Kathy will help you find it. If you would like more information, please Contact Kathy Vetten (Cell Phone 828-361-0360) or web site: http://www.kathyvetten.com or http://www.kathyvetten.com FOR ALL YOUR Real Estate needs, Kathy Vetten / Broker-CRS. Call Toll Free # 877-837-2288 – Murphy NC REAL ESTATE TOOLS AND SOLUTIONS – Kathy Vetten Broker / CRS – or visit my web site at http://www.kathyvetten.com. Our Featured Home Today Is A Two Bedroom and Two Bath Ranch Style Mountain Home Located on 1.48+/- Acres Of Beautiful Property. Fully Covered Back Porch That Runs The Length Of The Home Provides For Excellent Views Of The Mountains. Inside You Will find All Wood Interior, Wood and Carpet Flooring, Masonry Wood Burning Fireplace In the Living Room, Dining Room, Country Kitchen Wilh All Of the Appliances Included. Walk In Closets, Ceiling Fans, Window Treatments, And Central Heat And Air. To Top It all Off This Home Has A COMPLETELY FINISHED BASEMENT. This Beautiful Cabin In The Blue Ridge Mountains of Murphy North Carolina is Located In The Community Of Big Rock. Partially Furnished Two Bedroom and One Bath, Log Sided Ranch Style Home With One Car Matching Detached Garage On .73+/- Acres. Metal Roof, Fully Covered Front Porch, All Wood Interior, Granite Counter Tops, New Kitchen Appliances, Stack Stone Gas Log Fireplace. 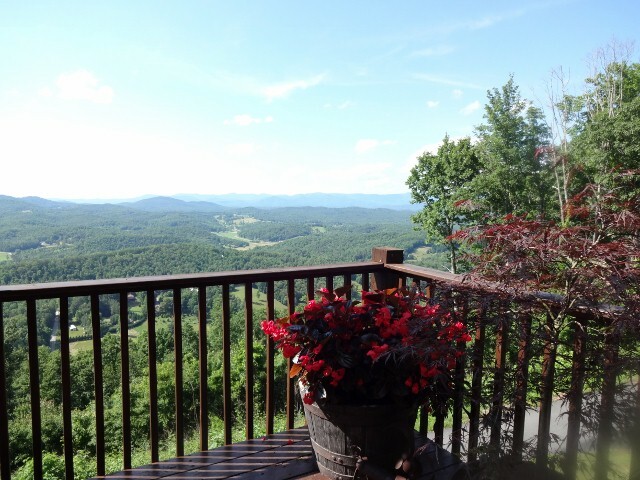 Come To The Mountains, Relax Sitting On The Front Porch Overlooking Scenic Mountain Views. This is a great DEAL! Just Reduced August 2013. Awesome Long Range Views of Mountains & Pastoral Valleys. Schedule A Viewing With Kathy Vetten At Exit Realty Mountain View Properties And You Will See Why This Home Is Such A Great Buy. Its just one of the many homes Kathy has listed. We have many Homes available to choose from and its the right time to invest in Real Estate. Whether it be a Home located on that perfect acerage or Land you are looking for to build your custom dream home on, Kathy will help you find it. Its been another wonderful week with all the activities, events, festivals, and concerts in the area that were occuring last weekend. As for me I traveled to South Carolina to visit with Family and the best way to beat the heat there was to visit the Water Park in Myrtle Beach. The heat and humidity are almost unbearable in SC. I could feel the difference as soon as I passed thru the Nantahala Forest on my way back to Murphy last Sunday. August is fastly passing us by, so get out there and enjoy the warm weather, low humidity, while you can. Make memories this weekend and enjoy some of the events we are highlighting this week. Enjoy The Rest Of The Week And Have A Great Weekend From All Of Us At Exit Realty Mountain View Properties. Murphy is the county seat of Cherokee County located in the heart of the Appalachian Mountains. The town dates back to 1839. Downtown has beautiful tree lined streets and many historic buildings restored to their original state with restaurants, many unique shops, and other interesting establishments all within walking distance in the heart of town. 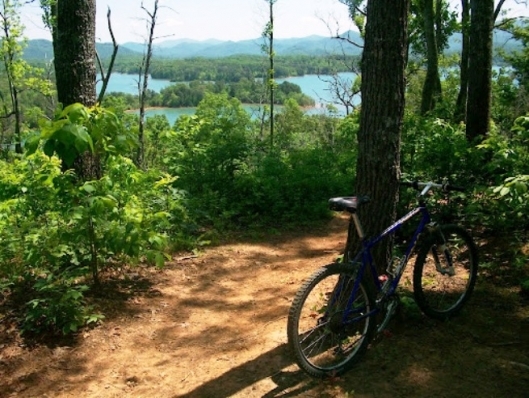 Recreational activities are unlimited from local trout streams to mountain biking. 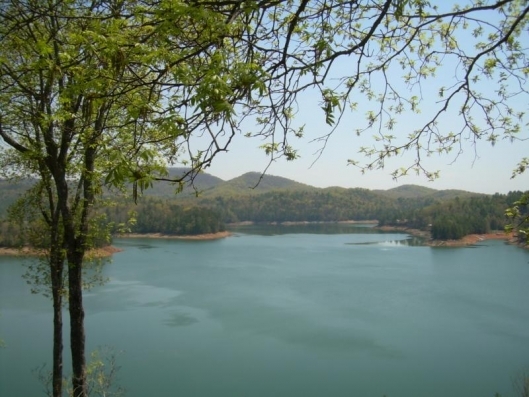 Hiwassee Lake is considered one of the most beautiful in the state. Murphy offers something for every sports enthusiast. Cherokee County Historical Museum tells the historical story of Cherokee County. The Museum has more than 2000 authentic artifacts of the Cherokee Indians and a mineral collection. The museum reflects the life of the Cherokee Indian during the time of the Cherokee Nation before their removal along the “Trail of Tears” to Oklahoma and features a collection of more than 800 dolls, the oldest doll dating back around 1865. Experience a fun and relaxing learning vacation. The Folk School offers weeklong and weekend classes year-round in traditional and contemporary arts and crafts, music, dance, cooking, nature studies, photography, storytelling, and writing. Nestled in the North Carolina mountains on 300 acres, the Folk School has 16 studios, on-campus housing, a dining hall, History Center, Craft Shop, and nature trails, including Rivercane Walk—a creekside trail that includes art honoring the Cherokee history of the region. Visit us at folkschool.org for an extensive class listing and special event information including free Friday night concerts, contra dances, and our annual Fall Festival. Visitors are always welcome to visit the studios, walk the trails, tour the History center and shop at the Craft Shop. Chunky Gal Stables is Western North Carolina’s best horseback riding experience! 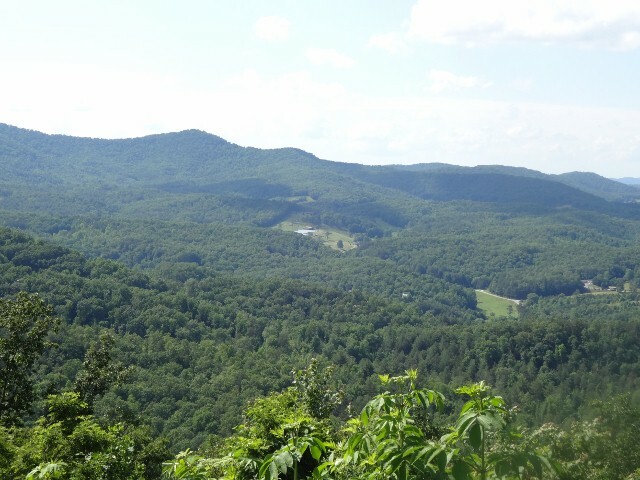 Located within driving distance of Franklin, Hayesville, Andrews, Murphy and Cashiers, NC and Hiawassee, Blairsville, and Young Harris, Georgia, Chunky Gal Stables has something for everyone to enjoy. At Chunky Gal Stables we offer trail riding, lessons, training, and boarding. We are open 7 days a week from 8:00am – 5:00pm. If you can’t get your questions answered on here, feel free to give us a call at 828-389-4175 and we’ll be more than happy to help you in any way we can.